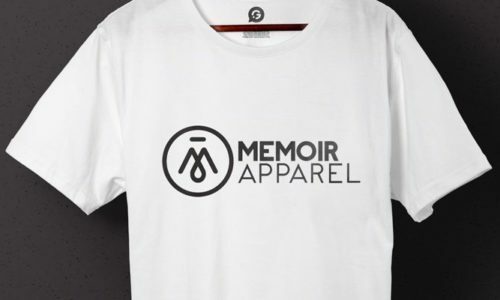 Memoir Apparel is a fashion label which continually strives to deliver great original designs for their high-quality T-Shirts, vests and sweatshirts. All of their clothing is custom made, unique and exclusive to the Memoir Apparel brand. With their very specific garments, the fashion label needed a printer that would print on the tops and shirts that they supply. Additionally, the label required small quantities of printing with frequent re-ordering. At Garment Printing, we are constantly adjusting to suit the needs of our clients, and for Memoir Apparel, we recommended our ‘Print Only’ and ‘Print to Order’ services. The various designs often consisted of many colours, photographic images and fading prints, which meant that Direct To Garment (DTG) was the perfect printing technique for the job. This printing technique cannot only reproduce these kinds of prints brilliantly, it is also very soft to the touch and incredibly long-lasting – all very important attributes when it comes to fashion labels and fashionable clothing.